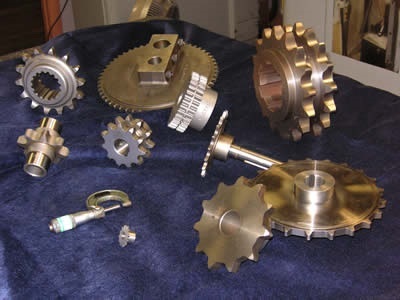 Sprockets – Commercial Gear & Sprocket Company, Inc.
Sprockets are very important mechanical components. As the most common part used in conjunction with sprockets, chains can be defined as a series of joined (typically metal) links, flexible in only one direction and used to transfer power in machinery through enmeshing with the machine’s sprockets. Industrial manufacturing is one of the more common industries that benefit from sprockets. However, additional industries include automotive, for power transmission applications; agriculture and forestry, in various types of equipment; film and paper, for film transport mechanisms found in move projectors and cameras; and electronics, for computer printers and electric motors. Sprockets are made from a wide range of materials: stainless steel, which works best for high temperature and food processing applications; cast iron, most often used with flat wire conveyor belts; and plastics such as nylon, polyethylene and polyurethane, which allow for continuous use at high temperatures. Sprockets are formed in much the same way as gears, through cutting techniques such as hobbing, so that they are able withstand harsh and repetitive use. Sprocket hobbing is the process of using a broaching machine to cut the grooves, known as teeth, into a component. Capable of cutting sprockets with different numbers and varying sizes of teeth, sprocket hobbing is used to make teeth for many different kinds of sprockets. 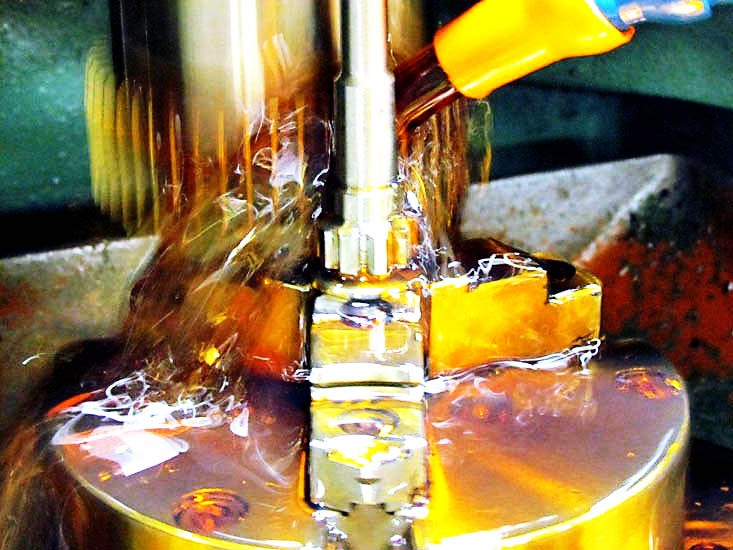 Additional machining processes are used, such as drilling, in order to ensure the best teeth and closest tolerances. Secondary service including heat treating and hand finishing can be used in order to provide additional strength and quality. Often cut in both English and metric dimensions, there are many different types of sprockets available including idler, roller chain, split, timing belt and film. Idler sprockets are used to prevent whipping action and to help obtain optimum chain tension in power transmissions. Also useful in power transmission, roller chain sprockets are light-weight, durable and often used for precision equipment components. Split sprockets, on the other hand, are useful in applications requiring detachment without having to dismantle machinery. Timing belt sprockets are also referred to as synchronous sprockets and provide timed, non-slip power transmission. Film sprockets refer to the type of sprocket used to move film through various machines by engaging with holes located along the two sides of the film strip. Sprockets Sprockets are thin cylindrical wheels with toothed rims that, through the use of parts such as chains or tracks, function to transfer rotational force into motion. Sprockets are very similar to gears; however, the main difference between the two is that gears must be used in conjunction with other toothed parts to transmit motion, whereas sprockets transmit motion through perforated or indented materials.